Looking for this year’s perfect something to put under the tree ‘from Santa’? Well, look no further than right here — it’s time for our traditional Christmas shopping list! As you are no doubt aware, the Raspberry Pi comes in more than one variety. 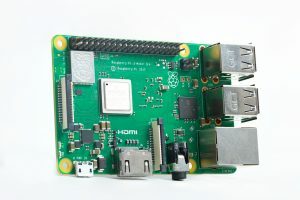 And if you’re planning to give a Pi as a gift to a first-time user, you may be confused as to which one you should buy. For someone learning to write code for the first time, we recommend the Raspberry Pi 3B+. 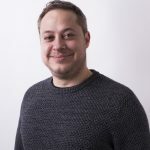 Anyone living in a home with an HDMI display, such as a computer monitor or television, will be able to plug directly into the 3B+, and in case they don’t already have a standard USB mouse and keyboard, these can both easily be acquired online, in many charity shops, or by sweet-talking a friend/neighbour/employer. You can even find some great Raspberry Pi starter kits that include many of the items needed to get started. 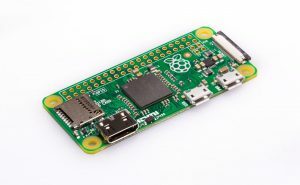 The Raspberry Pi Zero W comes at a lower price, and with it, a smaller footprint than the 3B+. This makes the tiny Pi the perfect addition to any creator’s toolkit, ideal for projects that run on a Pi long-term, such as display builds, robots, or near-space HABs. Whatever Raspberry Pi you choose for the lucky receiver of your Christmas gift, we also recommend getting them a pre-loaded micro SD card. 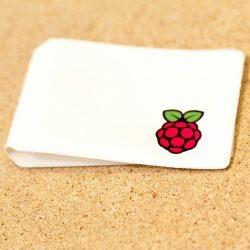 While it’s really easy to flash an operating system image onto one of the dusty old micro SD cards you have lurking in a drawer, pre-loaded cards allow new Pi owners to plug in and get started right off the bat. Plus, the ones with our operating system Raspbian on come in rather fancy, logo-adorned SD adapters. And who doesn’t like a rather fancy, logo-adorned SD adapter? We’re releasing two new books this week that are perfect for any Christmas stocking! The Code Club team is buzzing over the release of the first Code Club book, which is available to order now. Primarily aimed at learners aged 9–13, the book focuses on teaching the Scratch programming language, and it’s jam-packed with fun projects, tips, and stickers. The book also comes with a pair of super-special computer science glasses that allow you to see secret hints hidden throughout the book. Very, very cool. 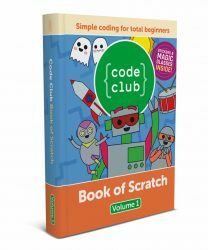 And since Scratch is pre-installed on Raspbian, the Code Club Book of Scratch is the perfect accompaniment to that Raspberry Pi you’re planning to get for the young person in your life! 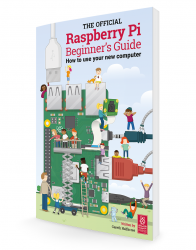 From setting up a Raspberry Pi to using Scratch and Python to create games and animations, the hot-off-the-press Official Raspberry Pi Beginner’s Guide has everything your loved one needs to get started and keep going. And when we say ‘ hot-off-the-press’, we mean it — we only released the book this week! Both the Raspberry Pi Beginner’s Guide and the Code Club Book of Scratch are available with free international shipping. And if you’d like to give either of them a ‘try before you buy’ test drive, they should both available soon as free PDFs for you to download and peruse at your leisure. Alongside our books, we have an array of magazines, including the brand-new, twice-monthly, video game–focused Wireframe! As with the books, you can download all issues of our magazines for a test read before you commit to a subscription. 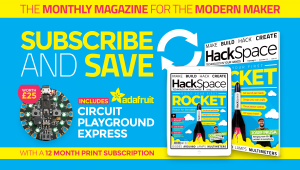 Twelve-month print subscriptions to HackSpace magazine or The MagPi will reward you with a technical treat: an Adafruit Circuit Playground or a Raspberry Pi 3A+. 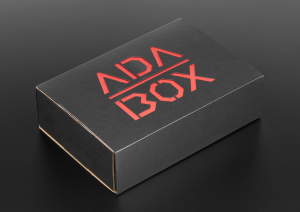 So not only can you give a gift that will last the entirety of 2019, but you’ll also automatically provide your favourite creative person with something rather lovely to play with when they receive their first issue. 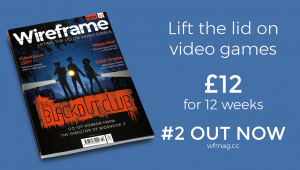 And if you sign them up now, you can give someone a six-issue subscription of Wireframe magazine for £12! 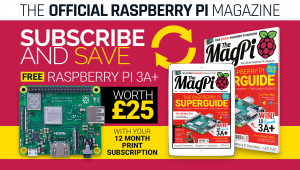 Or save 49% on a twelve-month subscription of 26 magazines from £40. So many choices, so many ways to make the creators and tech fans in your life happy this holiday season. 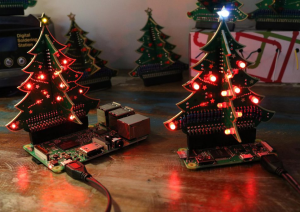 Maybe the person you’re shopping for already has every Raspberry Pi on the market. And as for our publications, their mailbox is full of magazines and books every week, and their smartphone and tablets are crammed with every PDF we’ve ever produced. So what next? What do you buy the Raspberry Pi fan who has all the Pis? Swag, of course! 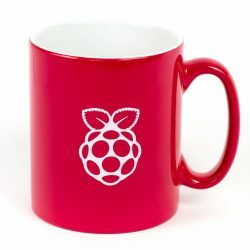 From stickers and mugs, to coasters and pins, check out the Raspberry Pi swag store for some wonderful treats! Whether it’s a HAT (Hardware Attached on Top) for the Raspberry Pi, or a full kit to make something rather spectacular, our Approved Resellers stock all manner of Pi add-ons. You can find your nearest Raspberry Pi Approved Reseller by clicking on any item on our products page and then selecting your country. We’ve been putting together a Raspberry Pi shopping list every year in response to the message we receive from you asking for gift ideas. So why not have a look back at our previous lists to get more inspiration for what to give, including more books, toolkit staples, non-Pi tech bits, and, of course, LEGO. Lots of great Christmas ideas! Will the Book of Scratch be available in the United States? Hi Jeremy. You can order it online (via the link in the blog) and get free international shipping. 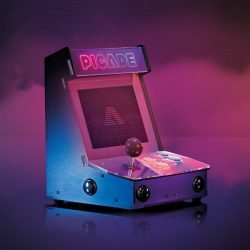 Will the currently out of stock items on the pi store be back in stock by Christmas? Is there anything specific you’re after? We don’t have re-prints of magazine back issues (besides a couple of rare exceptions), but we do re-print books and bookazines if we see the demand. Eg. we’re currently working on a second edition of Conquer The Command Line, which we’re hoping to make available early in the New Year. Hi Zak! The swag store? I’ll have a check with those in charge and find out for you. If I order the books, will they ship to the US by Christmas? Do you have gift cards? 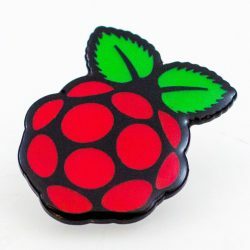 My son has purchased the raspberry pi but I have no idea what he does and doesn’t have so was hoping I could just give him a go to purchase what he wants. We don’t, but you may find that our Approved Resellers can help you out. I know Pimoroni do. And I’m sure the same can be said for many others. 2014's most distracting Christmas tree.